These are a delicious and satisfying snack. All the flavors meld together and they are just superb while they are still warm. 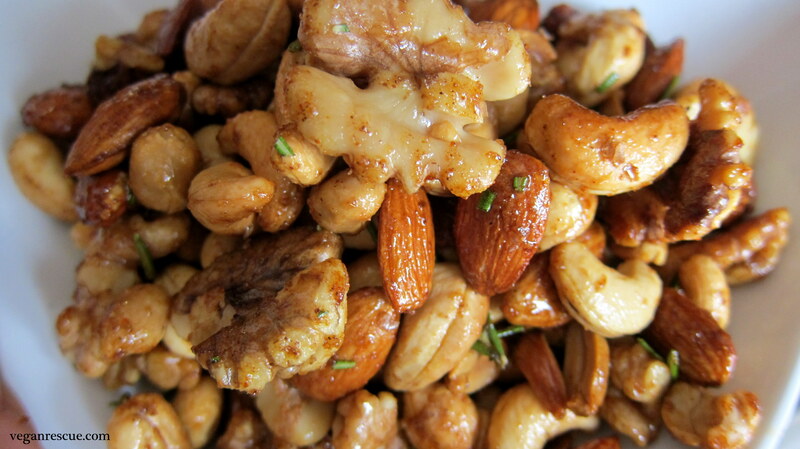 This is a large batch of roasted mixed nuts and makes about 40 (1/4 Cup) servings combined. We surely eat more than ¼ cup [chuckle]. -In a large bowl toss raw nuts to combine. Spread evenly on an ungreased baking sheet (2) – I used two. -Roast in oven for 10-12 minutes. 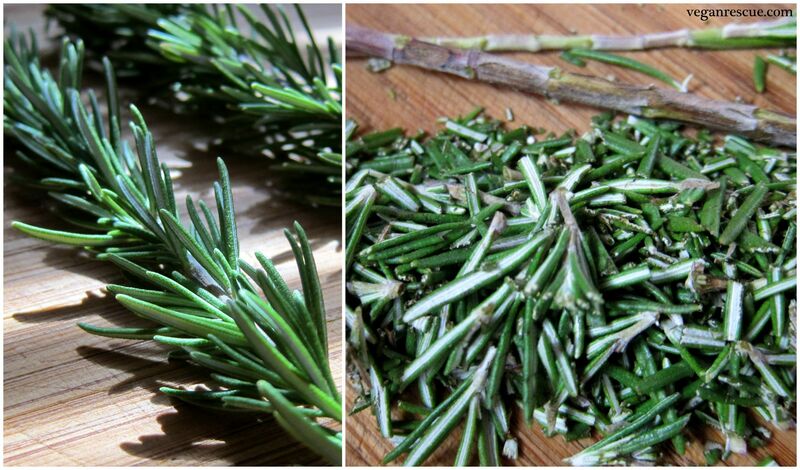 – I give them a shake halfway through so they roast evenly. 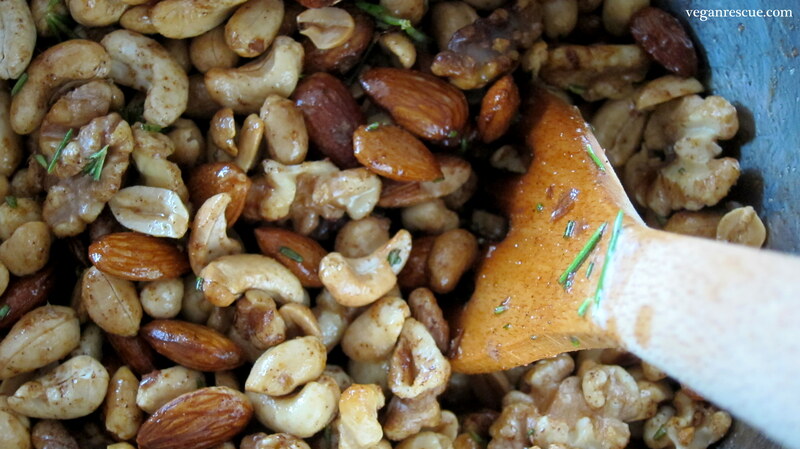 -While nuts are roasting in large bowl add: Earth Balance, Cayenne Pepper, Rosemary, Brown Sugar, Agave, Salt and Cinnamon. –You can use all brown sugar or all agave as the sweetener if you prefer to adjust. 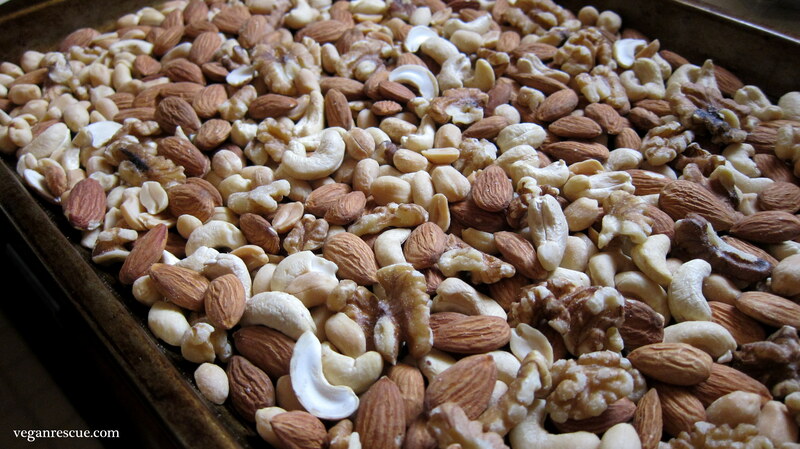 -After nuts have been roasted add them directly to mixture while they are hot. Enjoy! Great for a party or store in airtight container (room temp or in refrigerator) and pack them for lunch to snack on.